Hail to the egg! Humpty Dumpty, Fabergé and all that. For, the egg and I go way back. When anybody asks me, “Which came first, the chicken or the egg?” I always have to say, the egg. Which is why I must say a word about this much-maligned oval object. It’s bad for you. It’s good for you. Some people collect the jeweled kind. The real version can give you salmonella, or e-coli if left out of the fridge too long. It’s “on notice” for vegetarians and verboten for vegans, and I’m not sure where lactose intolerant folks stand when it comes to the egg. But, as for me, I love it. In fact, in some circles I’m known to be a good egg. Just don’t egg me on or I might crack up. 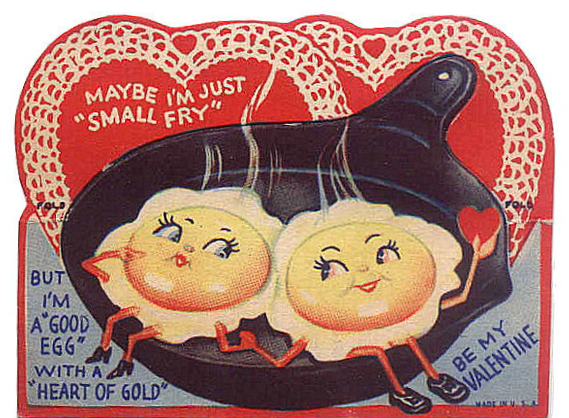 Yet, when I reflect on the egg, it hearkens me back to a simpler time. Queens, circa, way back when. 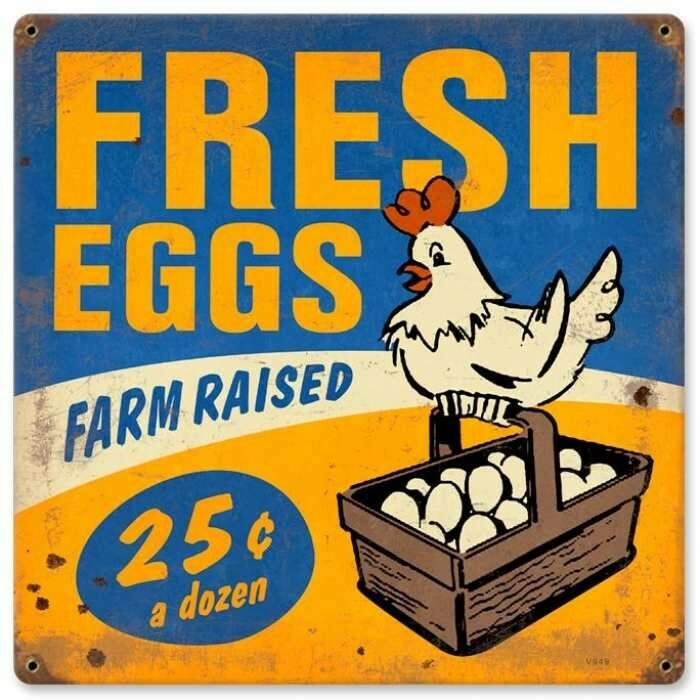 My first memory of the egg, are the hard-boiled kind my mother would bring when we’d spend the day at the beach. She’d find a spot for us beneath the boardwalk of Coney Island, where it was cool and shady. There, she’d spread out our worn-out, black woolen scratchy blanket. My brothers and I would kick off our flip-flops and venture out to the ocean. They would dive right in, and I would saunter in slowly, bracing myself for the icy cold water. We had a grand old time, and before you knew it, my mother would shout at us that it was time for lunch. Sitting under the boardwalk, listening to the footsteps of the people walking above us, she’d always serve us the same meal: A hard boiled egg with our very own miniature container of Morton’s Salt, a cup of cold, refreshing orange juice from the enormous red thermos she’d bring along, and deviled ham sandwiches on white bread. My favorite part of the meal, of course, was the egg, and I didn’t mind the grains of sand that I’d swallow while eating my egg. Cracking the shell, peeling it off with my sandy fingers, and sprinkling the salt. To this day, I can’t eat a hard-boiled egg without a glass of refreshingly cold orange juice to go with it. Best Egg Tale: I love stories about eggs. Think Green Eggs and Ham. Ah! Chocolate eggs. A child’s delight! Best Egg Characters: Humpty Dumpty and the Easter Bunny, who is not an egg, but loves hiding them. Best Movie Featuring an Egg: The Egg and I. Based on a book, the 1947 comedy starring Claudette Colbert and Fred MacMurray, is the story of a newlywed couple who move to a chicken farm. An abandoned chicken farm, to be exact. Ickiest Scene with an Egg: I can think of two and I’m not sure which has the higher queasy factor. Sylvester Stallone as Rocky Balboa in the first Rocky film, cracking a raw egg into a glass and drinking it, or Paul Newman as Cool Hand Luke swallowing 50 eggs as part of a bet. Favorite Way to Eat Eggs when Dining Out: Eggs Benedict. If you ask me, Eggs Benedict seem hard—nay, impossible—to make. Or, at the very least, too much trouble. So when I’m enjoying breakfast out, that’s what I like to order. At the Hash House in San Diego, you can get your Eggs Benedict served the traditional way, with Canadian Bacon (Canada’s best invention!) or you can substitute it for pork tenderloin, smoked bacon, roasted chicken, smoked salmon with fresh asparagus and sundried tomatoes, or fried chicken with spinach, mozzarella and chipotle cream. But, why would you?? Guess I’m a purist. Best Use of Eggs: Eggs come in handy when baking cookies or making custards. Scrambled or over easy, they make a quick meal when there’s no time to cook or if you’re too tired after a long day in the office. I’ve never liked the texture of omelets but I have been known to make a dinner of eggs scrambled with mushrooms, green peppers and cheddar cheese. And, let us not forget the many variations of candy eggs at Easter. Did someone say chocolate? All in all, I’ve never met a bad egg, though sometimes I’ve been known to be a rotten egg when I’m the last one to jump in the pool. So, my dear Egg Heads, where do you stand on the subject of, ahem, eggs?